October Daily #10~ Pick a random blog and tell us what you think about it! Share a snippet/screen capture of their blog too! This was a hard one for me, because I read so many different blogs daily now. I admit, I love my blog reading and look forward to it daily. One blog, I have read since finding her blog is Tiffani Goff At Home. 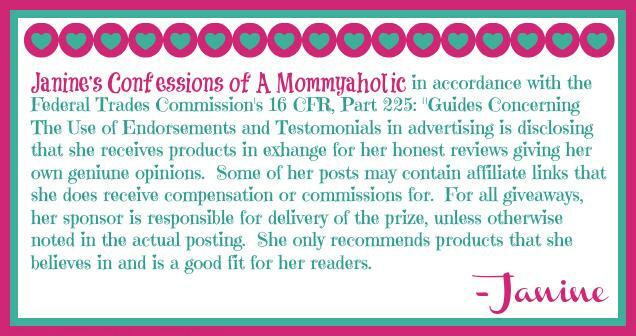 I actually found her blog, by joining Raising Imperfections linkup awhile back on Sundays. I read one article from her about her daughter Tiara, who has Tuberous Sclerosis. I really could not help but want to read their story and read all her articles on Tiara story from the beginning through the last chapter she posted on this on the particular Sunday. From that day on, I haven’t missed her postings. 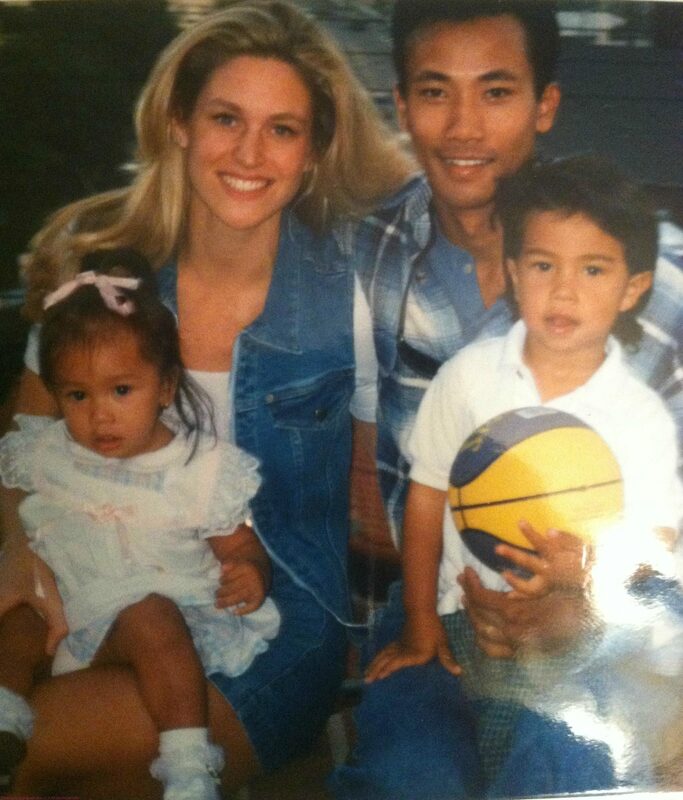 Tiffani is just about the nicest person out there and truly have such a special place in my heart for her as a mother and all she has gone through with her family and specifically Tiara. If you are not familiar with her or her blog, I highly recommend getting to know her and her blog. From reading her blog I have learned so much about her, as well as the challenges that come with having a child that has Tuberous Sclerosis. But, I also got to meet another wonderful writer and mother, too. Her name is Candy Sary and she recently reached out to me to share her story and was more then happy to share it here. Funny how blogging seems to connect us all in some way shape or form. Please read on to find out more about Candi in her own words now. I was a stay-at-home mom with two little ones when I started writing novels. It was my reprieve from the daily chores of motherhood. When my kids napped, or when my husband was with them, I escaped into fiction. I took my curiosities into characters totally unlike the real people I knew—a girl in an insane asylum feeding off another patient’s stories, a dead mother reaching back to her children from her heavenly perch, a young boy in Hollywood with the mysterious ability to heal people. Outwardly, I lived a fairly simple life as a wife and mother, and yet my mind was always buzzing with bizarre, magical, forbidden tales that gave my life some zest. I completed seven novels in my eighteen years of writing. After finishing each one, I submitted to publishers and agents, and over time, I collected tons of rejection letters. Sometimes I questioned myself, wondering why I didn’t just move onto something new—something I might succeed at. And yet even without publishing success, there was satisfaction I got from the writing itself. I loved exploring human nature through characters and storytelling. I loved that the explorations kept my mind busy all the time. While I sat at the park watching the kids play, while I drove countless hours of carpool, or while I dove into the monotony of cooking and cleaning, I thought about my stories. My time at the computer was usually limited to the hours my kids were in school, but storylines progressed and characters matured in my imagination as I chopped vegetables, waited at sports practices, and scrubbed floors. Having a pursuit of my own, outside of nurturing the family, felt good, giving me a sense of independence. After several years, I’d certainly grown from the experience, but I was still weighed down by the fact that I’d failed to get published. One night, after an especially difficult rejection letter, my husband asked me, “If you could see into the future and know for certain that you’d never get published, would you stop writing?” Thinking about it like that, I realized while it would be disappointing to never get recognition for my work, I couldn’t deny loving what I did. So I kept writing. I was learning more and more with all my practice. My later novels started getting better responses, and I even had three literary agents represent three of my manuscripts. I also made the finals in several writing competitions. Along with my kids’ sports trophies, mom had a second place plaque and a few certificates hanging on the wall from literary contests. Each little success gave me a boost as my journey continued. 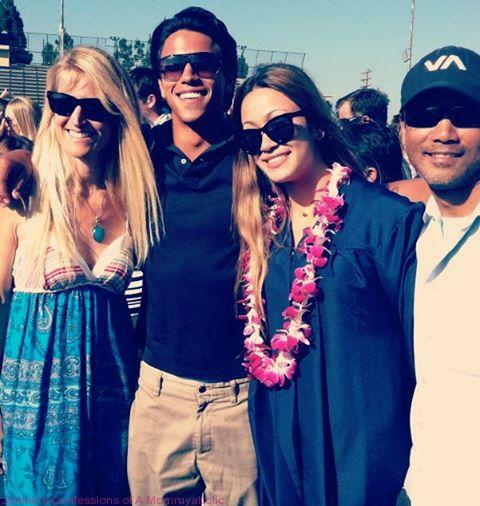 It was an emotional year for me last year when my kids were both preparing to move away to college. I would sometimes just break down crying alone in my car, imagining my new life without them around. Yes, motherhood was exhausting and challenging and oftentimes tedious, but it was also the most miraculous and meaningful work I’d ever done. I didn’t feel ready for them to leave. As if the universe had it planned all along, this was the year a publisher finally picked up my seventh novel. 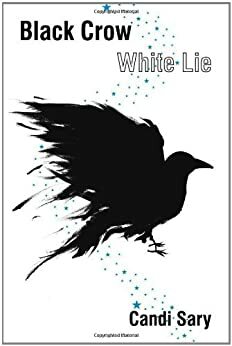 Black Crow White Lie was released last October, just after my kids left for college. Though it took so many years, the timing ended up feeling right. With book signings, book clubs, and a whole variety of book business, it was nice having my new novel to nurture as my husband and I were left adjusting to our empty nest. After years of writing in solitude, it has been an incredible feeling having readers and reviewers give my book such positive feedback. It won the Reader Views Literary Award for the West-Pacific region, and was named first runner-up in the Eric Hoffer Book Award for fiction. I’m thrilled and grateful for each little bit of recognition it gets. Now my kids are out in the world, and my novel is too. I’ve adjusted really well to all the changes. As a mother and a writer, it feels like I’m entering the next chapter of my life. And I’m ready for it. Create custom photo collages on large, removable wallpaper! And now they are dong smaller versions starting at $69.99. If you missed my post on these fabulous photo wall collages click here. Shop now for Halloween specials for all your card and invite needs. Build A Bear~ Just in Time for Halloween! Don’t forget to check out my web design company for specials running at J9 Designs for all your web design needs, plus we are now offering Paypal’s Bill Me Later, too! Thanks for the introduction to Candi – her book sounds great!! Very cool – I will check out her book!! OI must check out her books…what a great hubby she has to ask her such an amazing question….would you keep writing…. I know I loved that her husband asked her that question and wonder what the answer would be for so many of us on this one! Tiffani is so admirable and she should write a book too! Very nice of you, Janine, to support other writers. Well done my friend. I hope you have a wonderful day. Candi sounds like a very interesting Mom! I can't wait to check her book out…it's also nice to know that she never gave up and it paid. Goegous family and the title of the book is in and of itself…a hook! Have a GREAT day Janine!! Thanks Kelly and hoping you too are having a great day now. Also, couldn't agree more that Candi's story really is a real inspiration to all of us trying writing out and not to give up! Thank you, Janine, for having me on your wonderful blog! And I'm happy you're sharing Tiffani's blog with your readers today too. Tiffani is such a special person! I love hearing about the journeys of other writers! Candi's story is inspirational and gives me hope for publishing my own book someday. My recent post Is this a Spa, Dance Club or Hospital? Saw your link on the Chain "Linky" CLIMB. Girl, I keep running into you every place I go on the WWW! :O) Also following the two ladies you featured. Sometimes I get intimidated with contests that have numerous ways to enter. Since there are still a couple of days left to enter, I took care of the FB follows today and will do another set tomorrow, etc. Thought this might help both up the number of entries (for bragging rights 😉 ) and help other folks enter who might get overwhelmed easily like me. Excellent presentation of today's prompt from The October Daily challenge! I can't wait to dive into these new blogs – you know me. I love reading new blogs. That's a great story! Thank you for sharing, Janine! My recent post Got Print? Hurrah for such a happy ending and such great timing!!! I am honored to have such a talented, caring and smart cousin. Candi's determination to spend her time writing in the downtime is a real example of how stay at home moms, dads, kids and all of us can do. What ever we enjoy to do that is beneficial, rewarding and pleasurable, to us, should be exercised. We all need to keep learning and be involved. Candi's husband is the best partner because he redirected her mind and not write any more after a rejection letter. He said to her "if you can see into the future..", is an eye opener. We don't know the future. Anything can happen. This type of thinking will motivate us to keep growing and living our dreams. Congratulations Candi and thank you for always being a good mentor. John, thank you so much for sharing a bit more about Candi here with us and I was truly honored to have her on my blog sharing her story. I do totally agree about her husband, too from all she has shared and again just so happy to be able to have her featured here today! Thank you again Janine for another wonderful read and introduction. Loved it and share . What a great story of perseverance and staying true to your passion. Thanks for introducing another great blog! Thank you so much for this post on Candi Sary. I am always looking for something new to read and with the heart and soul, not to mention years of perseverance put into this novel, I am definitely going to be reading it! LOVE the support you are giving to this amazing writer!! Can't wait to check out her blog! what an amazing story. janine, i'm so glad you featured her on your blog. i'm fascinated by candi's perseverance, which totally goes to show that if you love the work that you do, you will find success! bravo to candi. My recent post What Can I Neglect Today?